Water plays a major role in delta areas such as the Netherlands. Although we need constantly to bear in mind the threats posed by the rivers and the sea, we derive enormous benefits from water. The Netherlands has been able to develop into a prosperous trading nation thanks to its large rivers and the easy accessibility of the North Sea. The Master of Science (MSc) in Hydraulic Engineering focuses on the ways in which we can protect ourselves against water while exploiting the opportunities it offers us. National and international students are able to do this track with certain requirements. The following subjects will clarify the procedure for students with different backgrounds. Within the track you will learn how to tackle complex problems within fluid mechanics and other basic disciplines, and how to apply the developed technologies in practice. The emphasis here is on the use and development of computer models, laboratory experiments and field measurements. 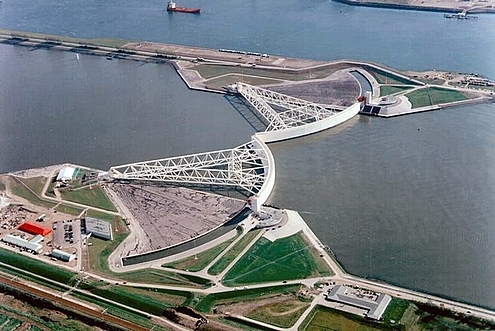 You will also learn how hydraulic constructions such as sluices, dams, barrages and storm surge barriers are designed. 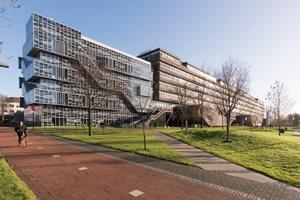 More information about the structure of the track Hydraulic Engineering and its course structure can be found in the Brochure MSc Hydraulic Engineering (of the MSc Civil Engineering of TU Delft). The guide also aims to assist the student with his/her choice out of the different track specializations, and hence also with the subjects corresponding to these specializations. Furthermore, the guide contains some important information regarding the graduation procedure. Additional information is available for students which are interested in the track Hydraulic Engineering but having another background than the BSc Civil Engineering from TU Delft or University Twente, i.e. for Graduates HBO Civil Engineering, for Dutch speaking students with an academic BSc diploma other than BSc Civil Engineering and for Foreign Students. Hydraulic engineers work in any number of projects across the globe for employers such as contractors, dredging companies, consultancy and engineering companies, water administrators, communities, public works departments and academic bodies.